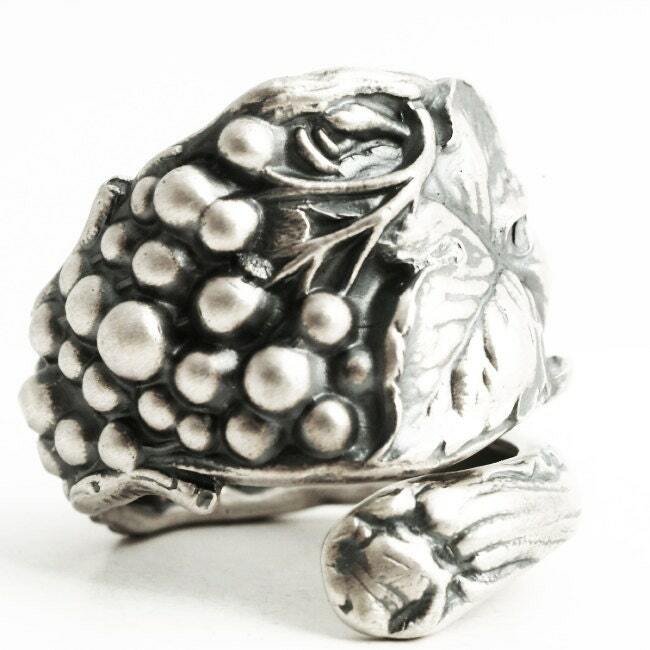 Very unique and rare Art Nouveau Grapes Sterling silver spoon ring! 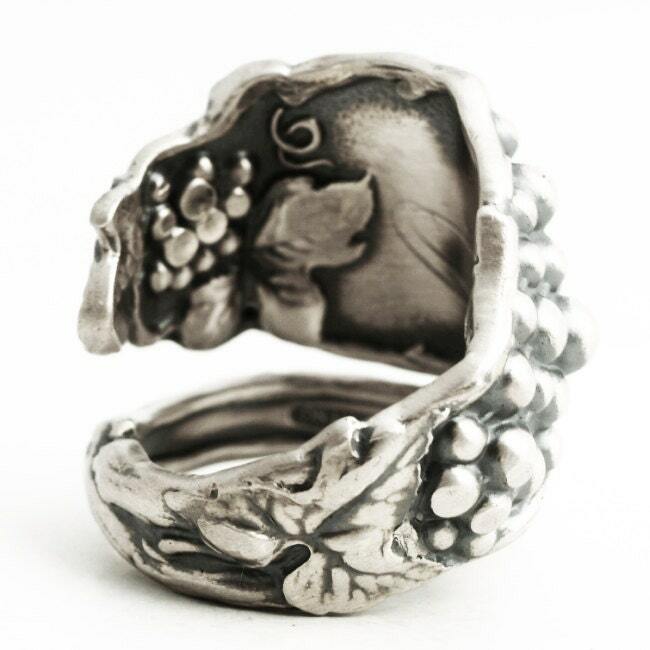 This ring has beautiful 3-dimensional grapes and leaves and vines in high relief. 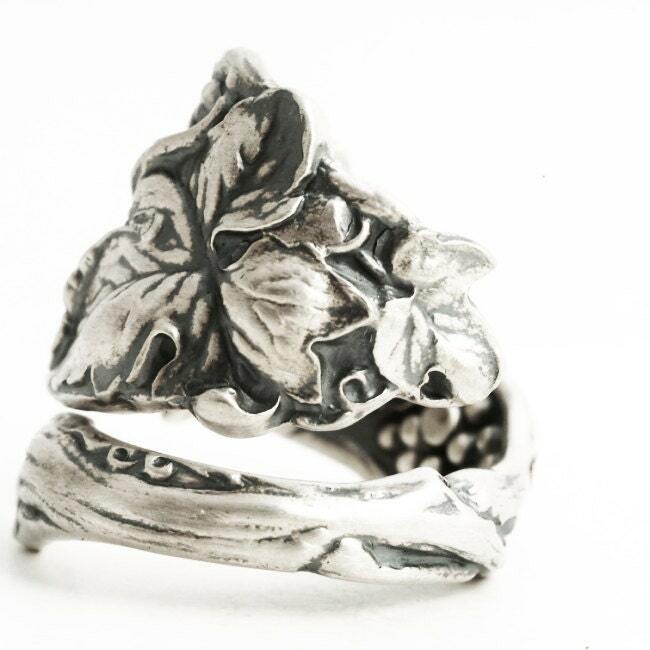 Fashioned in Art Nouveau style, the graceful curves and flowing designs lend a dreamlike quality to the spoon ring. 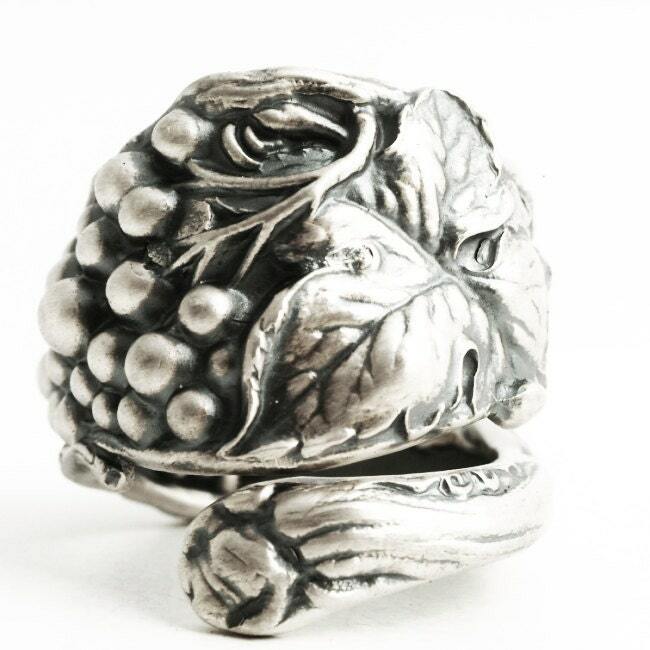 Made by Watson Co., this spoon ring is part of their fruit pattern series number 1 manufactured in 1903 called, "Grape". 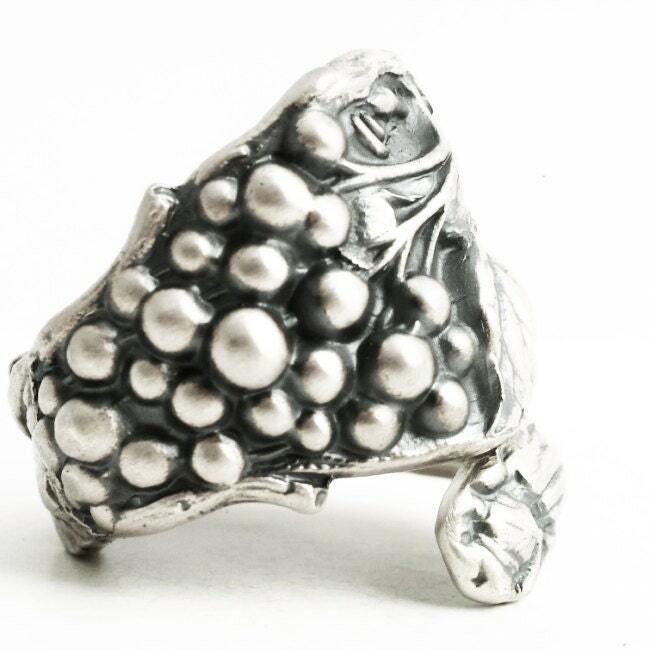 We have been trying to get our hands on one of these for years!